On an African safari in Kenya at Tortilis Camp, enjoy incredible photographic opportunities in Amboseli and in an adjacent private land concession. Elephant herds are large and birdlife is prolific. When choosing game lodges in Kenya, consider that Tortilis Camp pioneered low impact, high comfort safaris and it’s an award winning eco-tourism destination. This beautiful game lodge occupies a 30 000 acre land concession on the border of Amboseli National Park which is 97 000 acres in size. 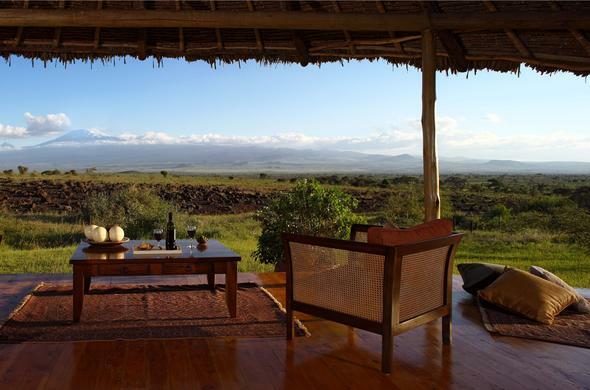 Tortilis camp can be accessed on fly-in safaris as there is an airstrip nearby.